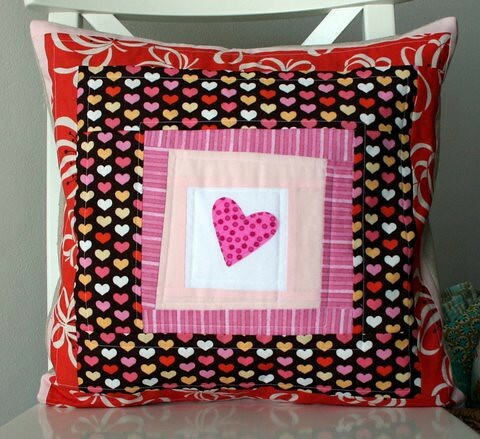 Valentines pillow cover, originally uploaded by cluckclucksew. I LOVE this brown heart fabric, especially since it has orange in it, and we all know how much I love orange. :) I hope your all having a happy holiday! I love this pillow cover! Great fabric combinations and great block! I love this pillow! Do I dare ask if there is a pattern for it? I'm REALLY new to quilting. And I this one that looks like might be able to do. Let me try that again in ENGLISH! ….. I think this one looks like I might be able to do it by myself. there! now you might be able to understand what I just posted. Gees!